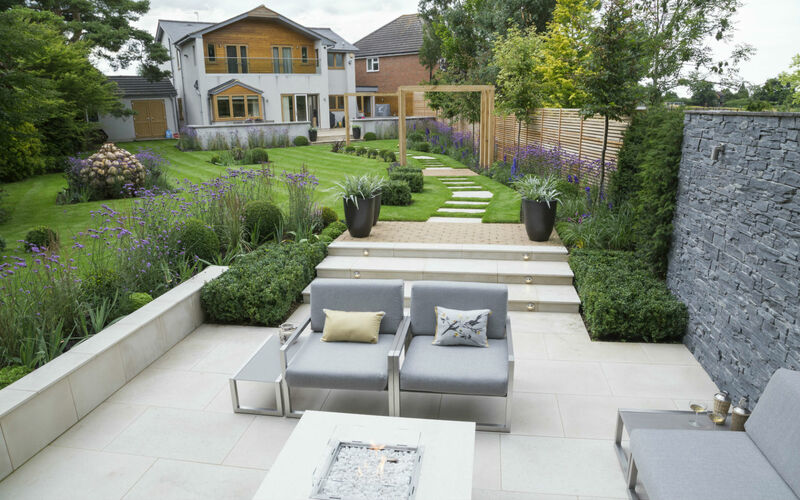 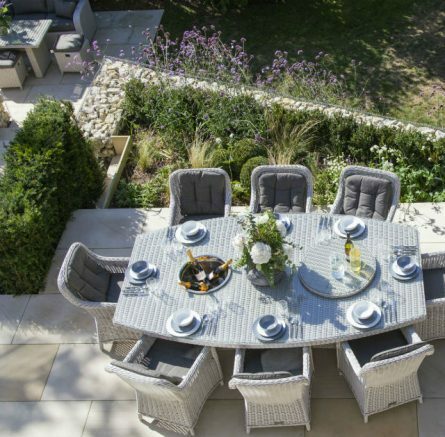 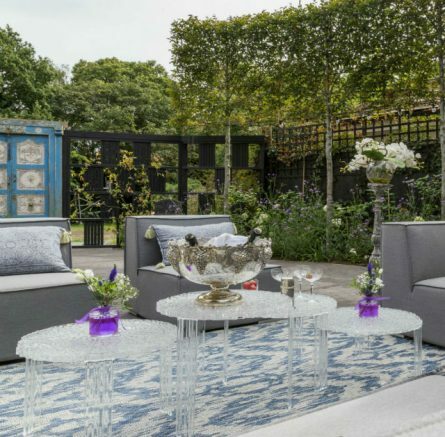 This contemporary garden was created with entertaining in mind. 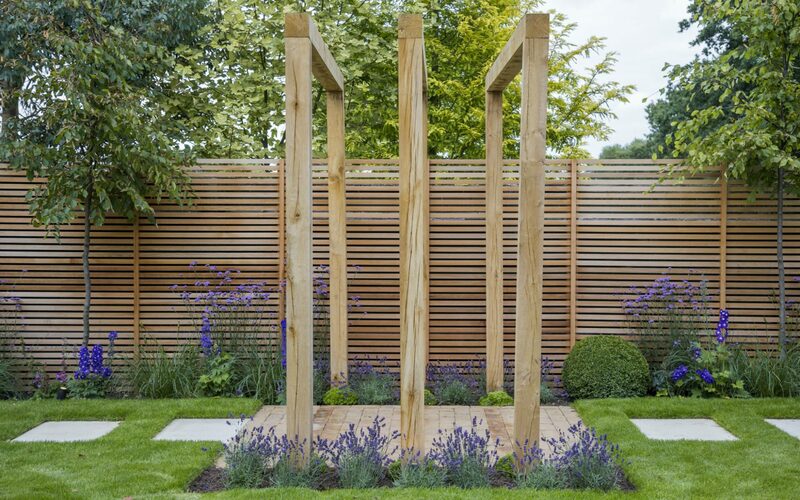 The sandstone path leads you down the garden, through bespoke pergolas to a new level of entertaining space. 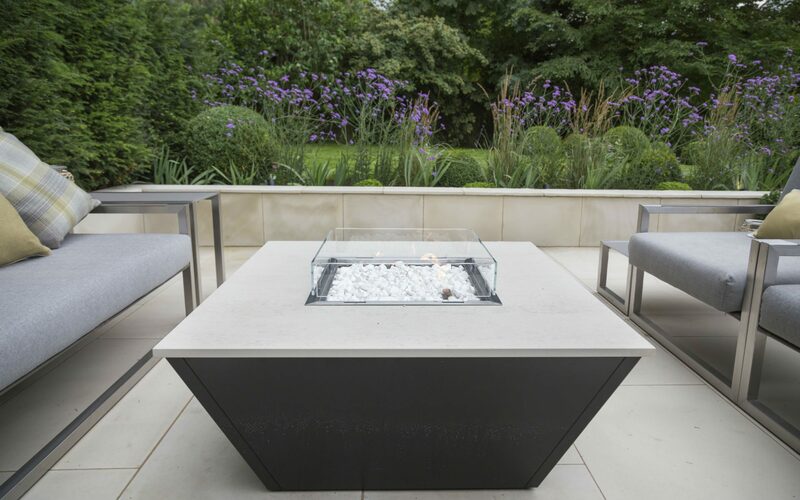 In this sunken area, lounge seating surrounds a contemporary Rivelin fire-table for extended evening entertaining. 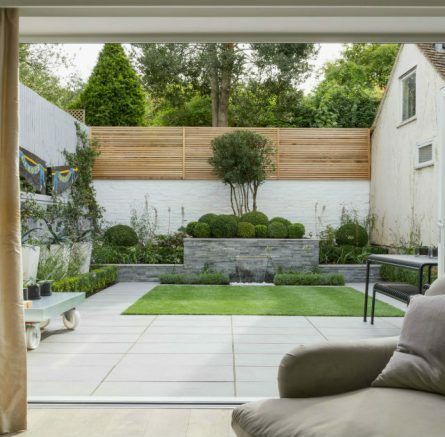 A slate feature wall and yew hedging add further warmth and create an outdoor room. 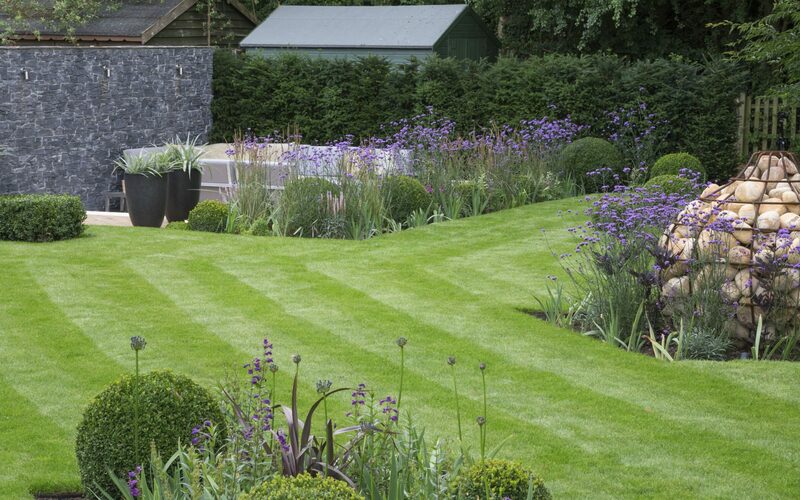 A mix of structured contemporary Buxus and perennials line the borders for year round colour. 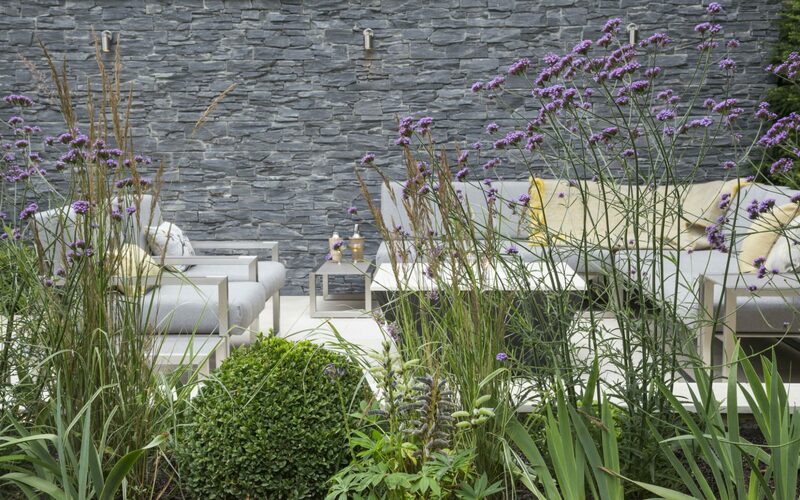 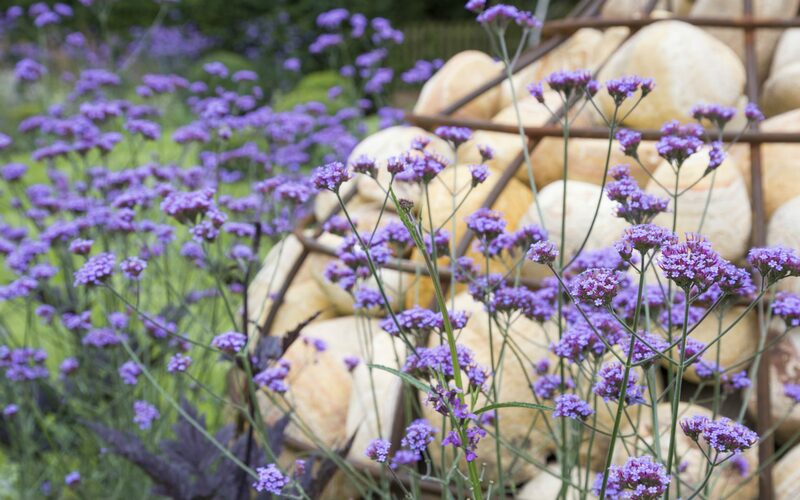 For an added statement, a bespoke gabion cage frames an area of planting. 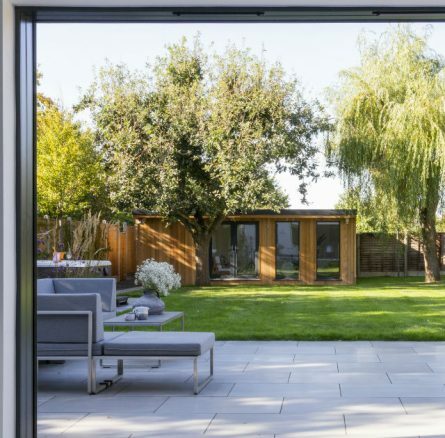 The focal points are fitted with recessed and spot lighting to transform the space in the evenings and light up the path to the sunken area.